We can teach you color! Amazing new art program can teach you the elements of color in as little as 10 minutes per day! 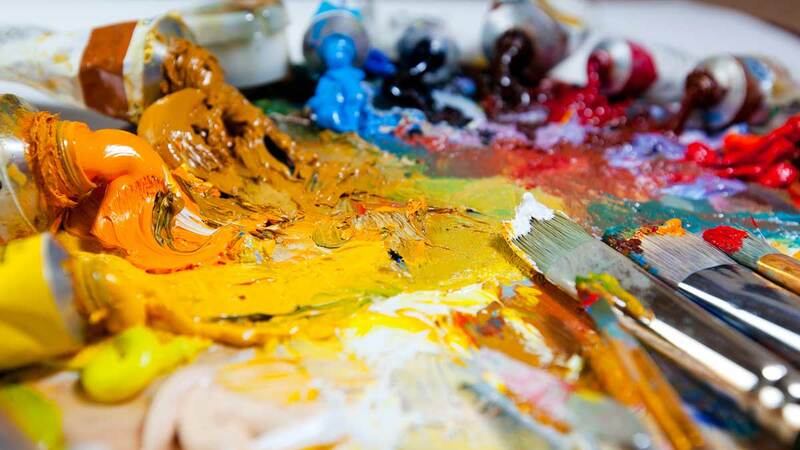 If you're like many aspiring artists, you've struggled with mixing paint. We know how frustrating that can be. How do you get the exact color that the painter is using on the DVD? Mix a little of this...a little of that. They are not very helpful are they? I remember when I started out, my colors looked nothing like what the artist was using and I swear I was doing just what he said to do. I felt so stupid! The problem is most painters don't know how to mix colors themselves, so how are they going to show you the right way to do it? I tried one painter's DVDs after another. I still couldn't get it. I thought it was me. I thought I was just too dumb. Well, that all changed when I found Bill Alexander. You see, Bill was not only a master artist, he was also a master teacher. Bill knew how to break painting down to its basic elements. His easy to follow instructions taught millions of folks to paint during his twenty year Emmy award-winning television career. So if you're like me and you've tried everything and still hate the results you get, we've got great news for you. Have you ever thought about going back to the basics? You see, every color in the rainbow consists of only three basic colors: yellow, red, and blue. Master these three colors and you will master the artist's palette. That's what this course is all about! I'm through being frustrated. Let's go! I just can't find time to paint, let alone learn something new. Well, that's the beauty of this new art course. It's based on our 10 Minute A Day Art Course model. In as little as ten minutes a day, you can not only learn to paint, but you can become a master of color. Your paintings will pop with color. You will amaze your friends and family with the stunning colors in your paintings. First off, you are only using three colors. That's it. You're not going to spend a lot of money on paint you will never use. And because you were on our waiting list, we're making an incredible offer on the pricing. More about that in a minute. We can't tell you how many times we've heard that excuse. Yep, it's an excuse because we believe if you have the desire to become an artist Bill can teach you to paint. Look...learning to paint is not rocket science. If you learn the basics, you can build your skills as an artist through practice. It takes learning from someone who knows what they are doing. It takes learning from a master artist who is also a master teacher. Bill was both for over 60 years. This sounds like fun - let's get started! Here's what we have for you! Look at everything in this course. Learn the simple techniques of mixing colors painlessly so your paintings literally jump off the canvas with the intensity and style reminiscent of the “Old Masters." Move effortlessly through the five art course paintings as you build and reinforce your color mixing skills. Learn how color can make your paintings stand out from every other painter. Impress your friends will your new found color skills. They won't believe you used only three colors! Relax and enjoy learning color in the comfort of your own home at your own pace. Avoid the hassle of dealing with traffic, schedules or a class full of distractions. Watch as your confidence builds with each new painting. Easy to follow lessons make learning color easy and fun! Breathe new life into any subject with your new found color skills. Your paintings will be fresh and new. Never worry about boring paintings again. To become a master, you must learn from a master. 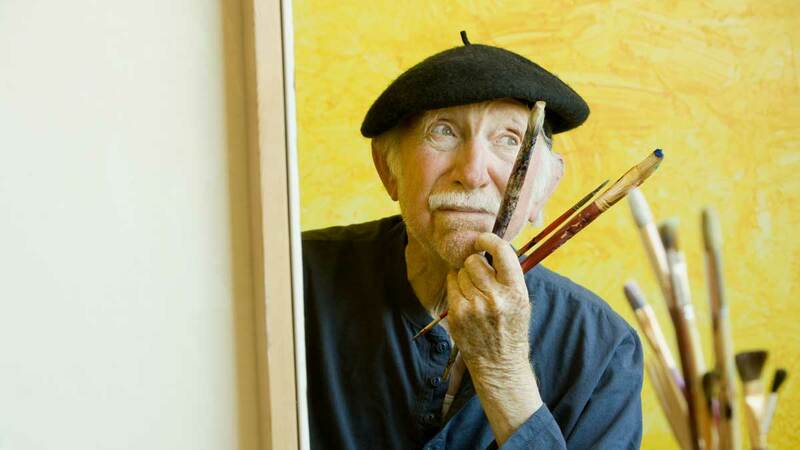 Bill Alexander taught millions how to paint over his sixty year career and he can teach you too! Never miss an important point in the lessons. Written instructions and a complete transcript accompany each painting. Save hundreds of dollars over private lessons that are done and gone. Play these videos over and over to continue reinforcing your learning for years to come. Want feedback on your paintings? Our exclusive Yellow, Red, and Blue Facebook group is a great place to meet like minded artists. To help make your painting experience even more meaningful, we've included two BONUS videos. Two more beautiful Bill Alexander designed paintings help you reinforce your color mixing skills. Click the button below and you'll be taken to the check-out page where you can sign up for the "Yellow, Red, and Blue" Art Course. We're including two more videos from Bill's "Yellow, Red, and Blue" collection. Nail down Bill's signature mountain technique in this gorgeous three-color painting. A beautiful flowing river wanders through a lush green forest while a majestic three peaked mountain beckons in the distance. It's hard to believe you can create a painting this beautiful with only three colors -- but you can! Don't ask me how we came to name this painting. A rustic covered bridge leads into a verdant old-growth forest. This painting is not only a study in advanced color mixing techniques, it is also a study in highlighting. Your art skills will leap to new levels after you finish this painting. Both of these magnificent paintings are yours as part of this course. We wanted to add something even more special to the course, so we're adding a book of four of Bill's magnificent landscapes. Each of these paintings also uses only the three primary colors of Yellow, Red, and Blue. So there you have it! 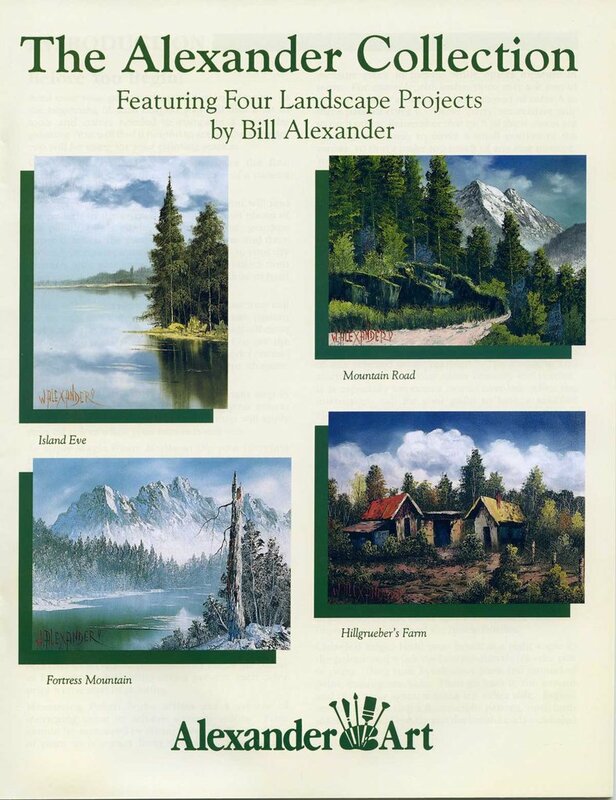 Eleven magnificent paintings by none other than Master Artist Bill Alexander. All yours for one ridiculously low price. This program is affordable to anyone! Compared to private lessons this program is a steal. Over three hours of video instruction teaches you the basics of mixing color. Private lessons could easily cost you up to $350 (or more). And if you need to (or want to) repaint your work, you can add more to that. Our course is a ridiculously low $199. When you sign up for the course, you get LIFETIME access to the training. Watch the videos as many times as you want.All you need is a broadband internet connection. Paint as much as you want. Ask your questions on our exclusive Facebook group and get better fast! This last step, only you can take! This course takes Bill's remarkable wet-on-wet method of oil painting and breaks it down into simple, easy to follow lessons that make learning to paint easy and fun. If you've ever wanted to be an artist or wanted to take your art skills to the next level, then please pay attention to this next step. When you click the button below, you'll be taken to a check out page where you can sign up for this course at our very special pricing. No one's ever shown you how to be successful as an artist. We will show you step-by-step, exactly how to learn Bill's remarkable wet-on-wet method of oil painting. No one's ever offered to mentor you. 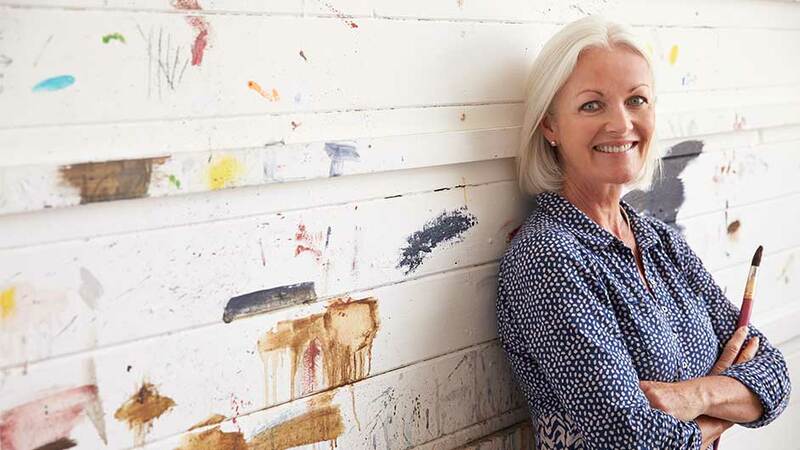 Through our Facebook group, and our online workshops, we'll give you the opportunity to get feedback on your paintings in a private, nurturing environment. No one's ever believed in you like we do. We know you can be successful if only you bring the desire to learn to the table. All you need to do right now is take that first step - to have the desire to start on the path to art success. Just click the button below to begin your art adventure!